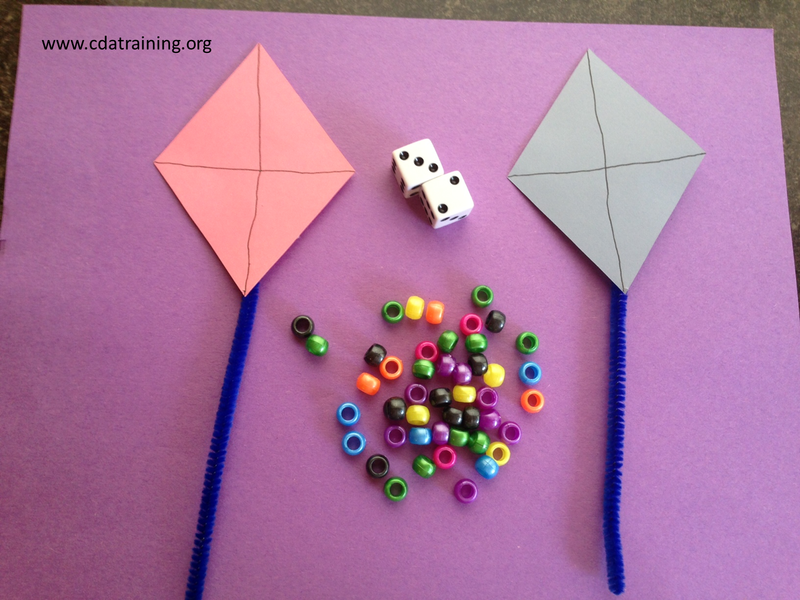 Make two "kites" out of construction paper and pipe cleaners. Encourage two children to play a kite game with them. To play the game each child will take a turn rolling the dice and adding the number of beads to the kites that are on the dice.